Man your platforms, sailors! A resistance level on Cable is under attack! 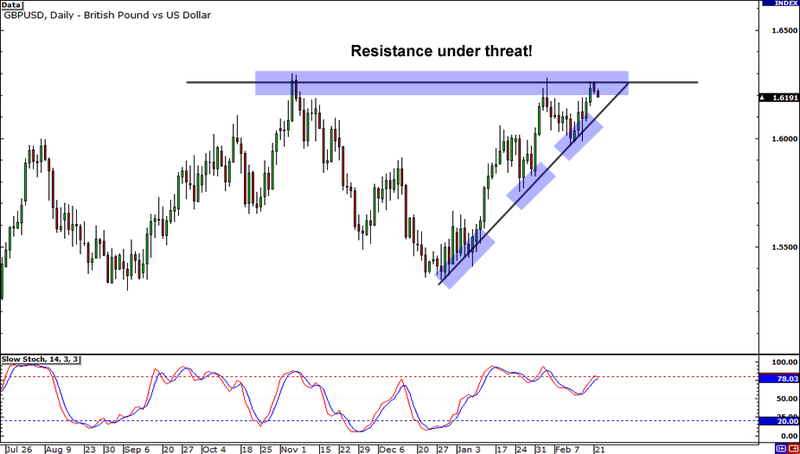 On the pair’s daily chart, you’ll notice that it was recently rejected at the resistance level around 1.6250. However, set your eyes a few weeks back and you’ll see that price has actually been trending up, forming higher lows. With that in mind, it might just be a matter of time before buyers jump back in and take another crack at resistance. Feelin’ bullish? Try to catch the pair when price meets the rising trend line. But always remember kids, it’s always best to wait for confirmation from candlestick patterns before making your move! Next up, let’s take a look at the Swissy! 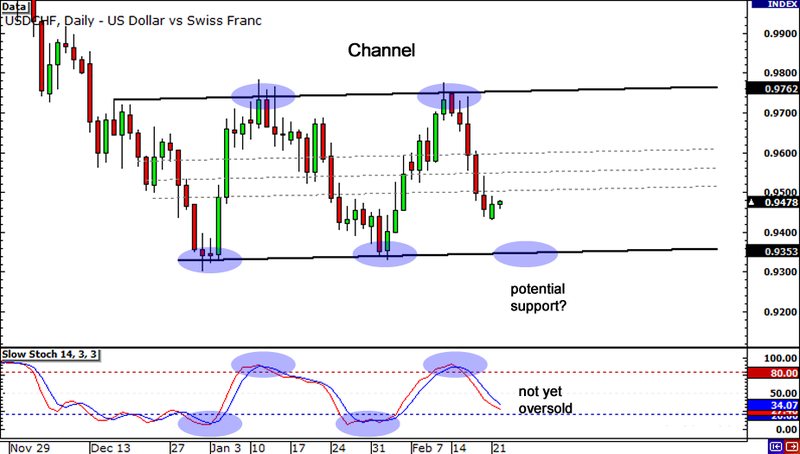 After topping out at .9750 last week, USD/CHF has dropped a solid 250 pips and now appears to be forming a horizontal channel. With Stochastic not yet in oversold territory, I think we could see selling pressure continue. Watch out though, for potential support at the bottom of the channel around .9360! If we see any sweet lookin’ reversal candlesticks form at that area, we may just the bulls bust out of their rut! Listen up, fellas! 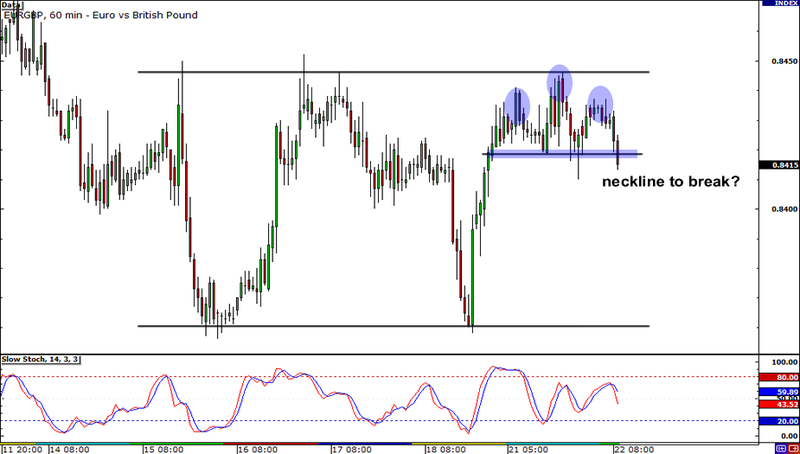 We’ve got an interesting setup on EUR/GBP! A head and shoulders pattern formed on the 1-hour chart and it looks like the neckline is on the brink of breaking. If it does give way, the pair will probably continue falling until it hits support at around 83.60. But as you know, there’s always a chance the neckline will hold, so it would be wise to wait for a bearish marubozu to close below this level first.